The webinar touches on electrical and mechanical challenges of system and product level multi-board PCB design. 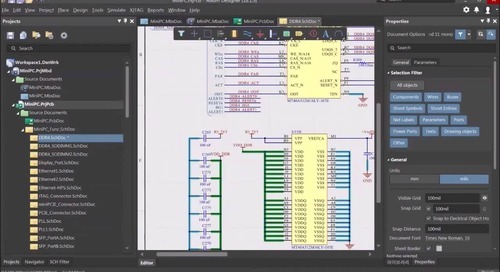 A demonstration follows, showing how to mitigate the challenges of the PCB design process with the capabilities of Altium Designer. You need to manage the whole system connections, resolve conflicts, and update system-child projects. Coordinating separate board rotation, alignment, and enclosure fit is like a game of three-dimensional chess. How do you conquer all of these challenges? 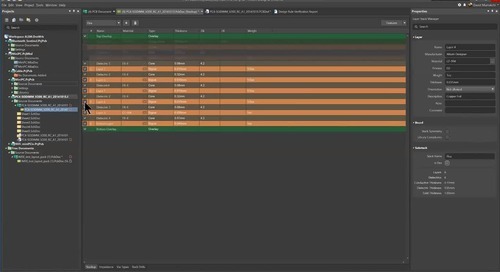 Check out the webinar recording below to learn how to combat these challenges to ensure product quality in Altium Designer 18. Working with enclosures housing multiple board designs is a growing scenario in the electronics industry because circuit boards rarely operate in isolation. Design modularization can help break down complex designs and help mitigate costs of varying design needs and layer stacks. It is important to have a method of visualizing board position and fit in a way that facilitates collision checking and optimal part placement. The types of connections and connectors vary on the needs of your design. Defining the connection types and ensuring board connectivity across all connections is difficult without a system to logically connect signals and check for errors in connectivity. It is also essential to easily resolve any conflicts in connectivity caused by connection changes and pin swapping. Designing a product that contains multiple boards requires intimate knowledge of each PCB. System-level visibility to interconnections increases understanding of design interactions. Any change must be made with considerations for the effects propagated to other boards and the enclosure. 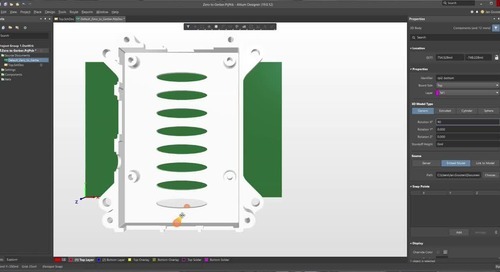 Lastly, visibility inside the completed product is a complicated process with imported STEP models in an MCAD environment removed from the system design environment. Multi-board schematic documents allow you to create the logical design interconnections between modules. Each module represents a complete printed circuit board project with all associated files. The challenge of board connectivity requires strict enforcement of all logical connections. Electrical rule checks help you identify and resolve connection and mated part violations. Direct Connection: Direct contact between boards. Wire: A single wire connecting two points across boards. Cable: An inseparable bundle of wires used to connect boards. Harness: A collection of cables and wires connected two or more points across two or more boards. 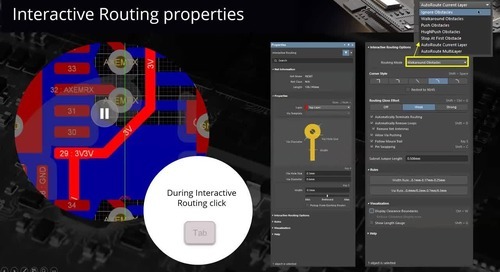 The Connection Manager simplifies connectivity management by tracking each signal across each PCB layout. Any components or connectors that have been pin swapped will prompt you to “Confirm” or “Revert” the changes on the design to ensure acknowledgment of changes. 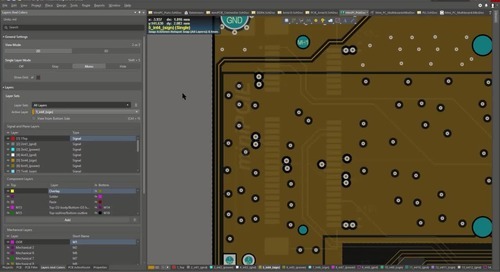 You can also select “Swap Pins” to pin swap the component or connector on the connecting board. The multi-board assembly documents represent the physical connections between individual designs and enclosures. You are able to navigate between complete board assemblies and individual design layers, nets, net classes, and components. 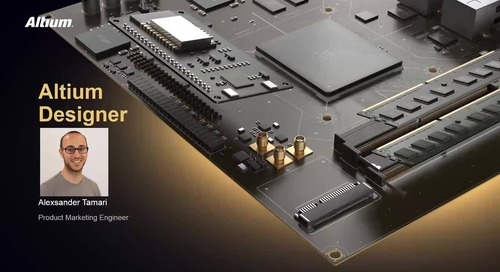 The image below shows the interconnections between the DD4 net classes between the SODIMM and the MiniPC design allowing you to track signal connectivity on a physical and logical level. It is important to be able to see how your boards are positioned in the enclosure. The cross-section view provides direct visualization into your complete product assembly with adjustable X, Y, and Z section planes. You can also quickly flip plane views and toggle the visibility of each plane section. Multi-board designs require precise board alignment for each board. You can use plane-to-plane and axis-to-axis alignment to get the perfect fit of all of your boards. The SODIMM and WiFi boards have been aligned to using a combination of the two methods with the connectors on the MiniPC board. Work on multi-board assemblies is often segmented by boards. The ECO process is used to synchronize changes from child projects to the multi-board schematic and from the multi-board schematic to the multi-board assembly. Using ECO provides visibility and synchronization of design changes between users across every design. Placement is one of the most important aspects of product design. 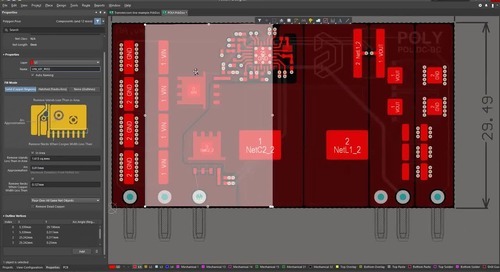 With Altium Designer, you are able to move components on any selected board in the assembly and changes will be sent to the original PCB design. The image demonstrates movement of three components ensuring their relative position to each other while allowing placement optimization. The demonstration highlights some of the core functionality developed to combat the three major design challenges. - Quickly navigate through every aspect of your assembly and identify important design information. - Ensure precise alignment of every board and enclosure in your assembly. - Move connectors and components on any design for optimal placement. - Create logical representations of your physical design to model physical connectivity. - Maintain the electrical integrity of your system design with electrical rules. 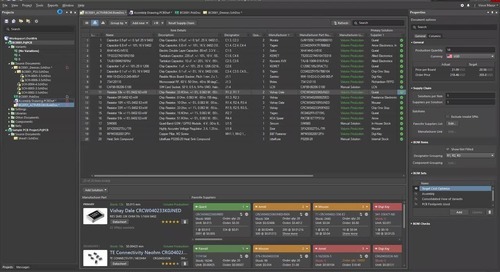 - Use the Connection Manager to resolve conflicts identified with the ERC system. 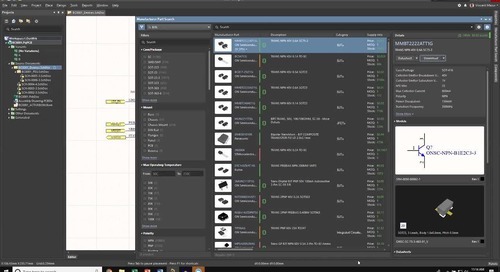 - Gain insight on every connector, mated pins/parts, and individual design in your system design. - Keep changes across designs synchronized with the same ECO process used for individual designs. - See how every board in your product interfaces in the assembly enclosure. 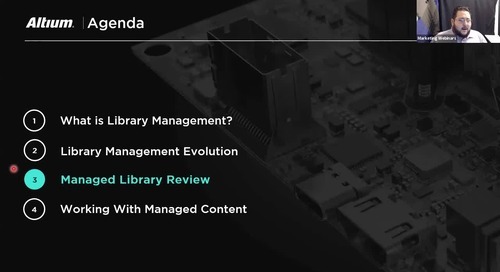 Below are the top questions from the webinar. Please ask any additional questions in the comments or send me an email at david.haboud@altium.com. 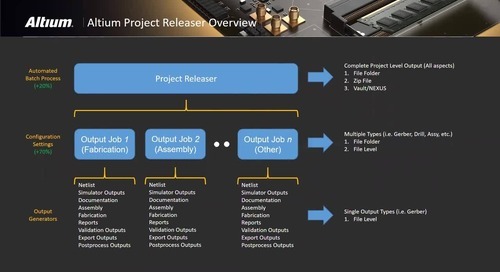 Q: Thinking in terms of version control when adding modules, are they added virtually or are all the files copied into the new multi-board project? A: All files in the multi-board project reference the original locations of the single board projects. This means your version control connections and the consistency of your data will remain associated with the original projects. 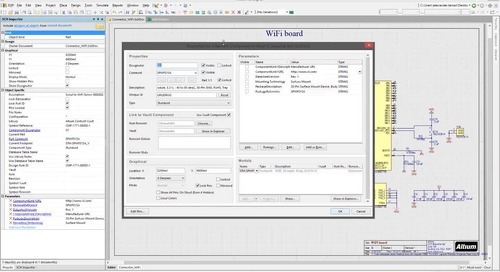 The screenshot shows a version control commit after I perform the pin swap on the WiFi connector as seen in the webinar. You can see the individual boards are in version control, but I do not currently have the multi-board project in version control. Q: How are flex bends handled in the multi-board project? 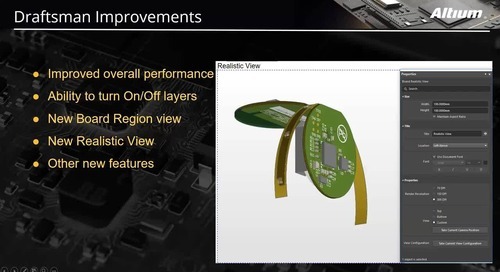 A: Rigid-flex PCBs are not supported in the multi-board assembly (MBA) in Altium Designer 18, but this is important for our long-term multi-board design support and is currently in development for a future release. Q: Can you export the entire assembly as a STEP model? A: Export capabilities are in development for a future release. Q: Can this be used for cable harness design between PCBs? A: You can design the logical side of cable or harness. However, if you would like a physical representation of a cable or harness, you must import your own step model for the connection in the assembly. Q: Is there any routing integration? A: Routing must be done on the individual board level. The R&D team is researching the best method and the feasibility of functionality implementation on the multi-board assembly level. Q: How do you define connectors between the boards? A: You define connectors by setting the “System” component parameter to "Connector." Q: Is there a collision detection function? A: Collision detection runs through the entire multi-board assembly including boards and models that have been made invisible. 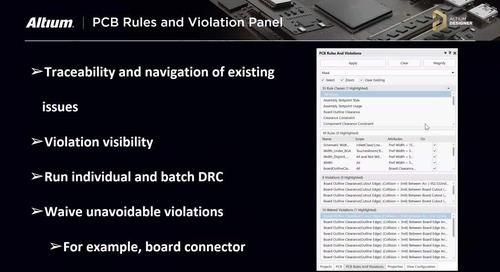 The Messages Panel shows the full list of violations allowing you to cross probe to any violation. Meanwhile, the multi-board assembly provides visual violation feedback. Q: Do you have to individually import separate PCB project into a multi-board project? A: There are two ways to add multiple individual designs to the multi-board schematic. You can add existing projects in the Projects Panel and you can define modules and connect them to existing designs. 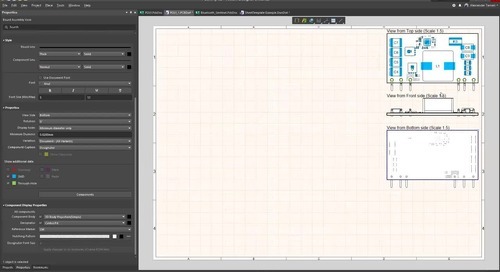 Connecting modules to a design will automatically add the design to the multi-board project. Defined modules can be associated to any existing design with the Properties Panel. Q: How do you align connectors? 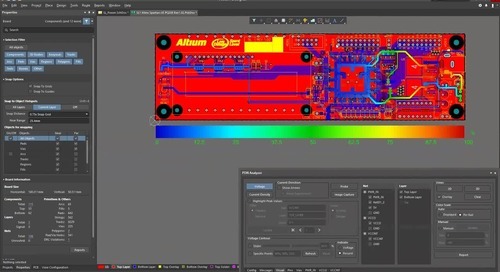 A: Altium Designer uses plane-to-plane and axis-to-axis alignment to get the perfect fit of all of your boards. The SODIMM and WiFi boards have been aligned to using a combination of the two methods with the connectors on the MiniPC board. Q: What happened on the original PCB file when you move a component on the multi-board assembly? A: Moving a component in the multi-board assembly, moves the component on the original PCB design file. Although you must currently update the tracks and polygon in the original design file, we are looking at developing the feature further to facilitate placement optimization.